Talk on the Rock is KSTK’s live call-in show. Every Tuesday at 1pm we welcome a local guest to discuss events and topics of interest to our little island town. 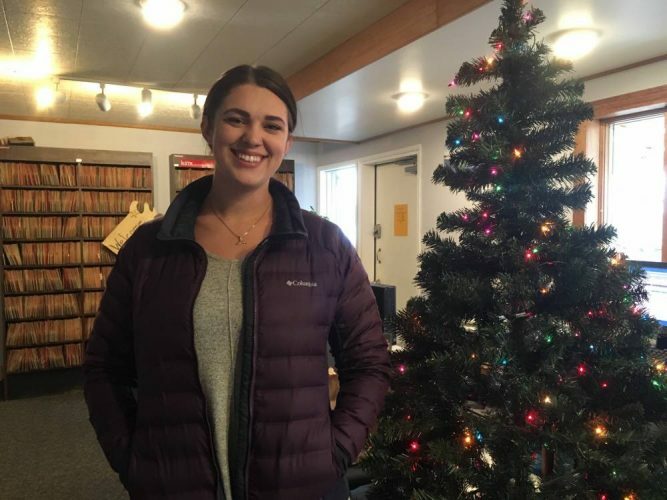 For this week’s episode, host June Leffler spoke with Alicia Holder, the director of the Wrangell Chamber of Commerce. The Chamber holds plenty of events during the holiday season, to promote Christmas cheer and local shopping. Alicia told us a little bit about the history of these events, including the Christmas Boat parade that Doc Davenport started.